NEW YORK (Reuters) - U.S. stocks ended slightly lower on Thursday after the president of the Federal Reserve Bank of St. Louis said interest-rate increases should come sooner rather than later. Six of the 10 S&P 500 sectors were in negative territory. The S&P financial index (.SPSY) slipped 0.3 percent and ranked among those leading the market's decline. St. Louis Fed President James Bullard, in an interview with Fox Business Network, reiterated his belief that raising rates by the end of the first quarter of 2015 would be appropriate. He said the U.S. jobless rate will fall below 6 percent and inflation looks likely to rise back to 2 percent later this year, putting the economy closer to normal than most realize. Bullard is a non-voting member of the Federal Open Markets Committee, the Fed's policy-making panel. The Fed had hinted after its meeting this month about a slightly faster pace of interest-rate increases starting next year, but suggested rates in the long run would be lower than it had indicated previously. 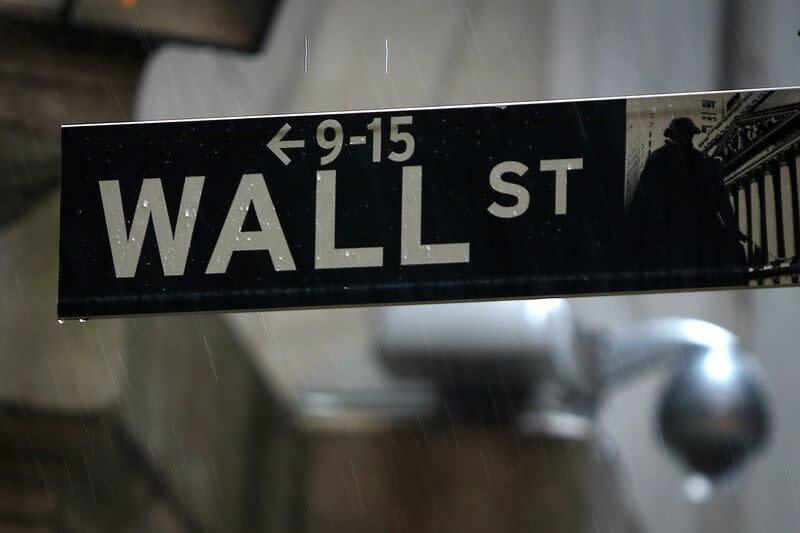 U.S.-listed shares of Barclays (BCS.N) dropped 7.4 percent to $14.55 after New York State's attorney general filed a securities fraud lawsuit against Barclays (BARC.L), accusing the British bank of giving an unfair edge in the United States to high-frequency trading clients. The Barclays fallout hit other European banks. U.S.-listed shares of UBS AG (UBS.N) slid 2.4 percent to $18.47. Credit Suisse (CS.N) fell 3.6 percent to $28.29. Exchanges are expected to see a spike in volume ahead of the close on Friday, when Russell Investments announces the final reconstitution of its indexes. "The market is a little bit extended, and we're at the point where there's a little bit of rebalancing going on," said Fred Dickson, chief market strategist at D.A. Davidson & Co, in Lake Oswego, Oregon. The Dow Jones industrial average (.DJI) fell 21.38 points or 0.13 percent, to end at 16,846.13. The S&P 500 (.SPX) slipped 2.31 points or 0.12 percent, to 1,957.22. The Nasdaq Composite (.IXIC) dipped 0.71 of a point or 0.02 percent, to 4,379.05. The CBOE Volatility Index (.VIX), Wall Street's fear barometer, edged up just 0.4 percent to 11.63, or about half of its historical average. That makes sense, given the stock market's recent record highs, analysts said. "As we go higher, volatility should be decreasing," said JJ Kinahan, chief derivatives officer at TD Ameritrade. After the bell, shares of sportswear maker Nike Inc (NKE.N) rose 3 percent to $79.15 after reporting a higher quarterly profit. Shares of Manitowoc (MTW.N) jumped 11.4 percent to $33.10 in after-hours trading after sources said Relational Investors has amassed a stake in the company with the intent of a breakup. During the regular session, Bed Bath & Beyond Inc (BBBY.O) slid 7.2 percent to $56.70. The stock was the S&P 500's biggest percentage decliner, a day after the retailer gave a second-quarter earnings outlook that was below expectations. The stock of the wearable sports camera maker GoPro (GPRO.O) surged 30.6 percent to $31.34 in the first day of trading. Alcoa Inc (AA.N) shares rose 2.7 percent to $14.94 after the company agreed to buy aircraft parts maker Firth Rixson from private equity firm Oak Hill Capital Partners for $2.85 billion in cash and stock. Market reaction was muted to data that showed consumer spending rose less than expected in May. It was probably held back by weak healthcare spending, which could prompt economists to temper their second-quarter growth estimates. In a separate report, the Labor Department said new applications for state unemployment benefits slipped 2,000 to a seasonally adjusted 312,000 for the week ended June 21. About 5.1 billion shares changed hands on U.S. exchanges, below the 5.6 billion average for the month to date, according to data from BATS Global Markets.